PhoneSat is a nanosatellite, categorizing the mass as between one and ten kilograms. Additionally, PhoneSat is a 1U CubeSat, having a volume of around one liter. The PhoneSat Project strives to decrease the cost of satellites while not sacrificing performance. In an effort to achieve this goal, the project is based around Commercial Off-The-Shelf (COTS) electronics to provide functionality for as many parts as possible while still creating a reliable satellite. Two copies of PhoneSat 1.0 (a and b) are being launched mid April 2013 along with an early prototype of PhoneSat 2.0 referred to as PhoneSat 2.0.beta. 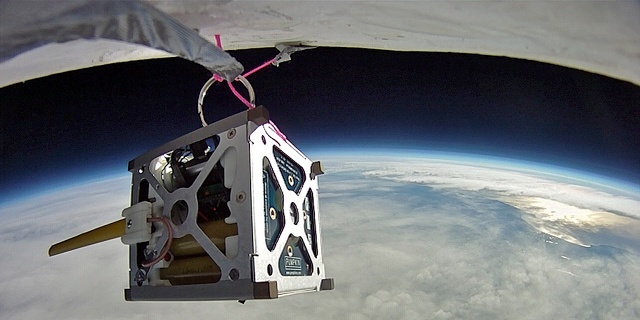 Phonesat during a high altitude balloon experiment. PhoneSat v2 is a technology demonstration mission intended to increase the functional capabilities of PhoneSat v1 and demonstrate complete satellite functionally in a low cost package. The satellite is built around the Nexus S smartphone which will be running the Android operating system and will be enclosed in a standard 1U cubesat structure. The main function of the phone is to act as the Onboard Computer, but the mission will also utilize the phone’s SD card for data storage, 5MP camera for Earth Observation, 3-axis gyroscope and 3-axis magnetometer for Attitude Determination, and 3-axis reaction wheel control system and 3-axis magnetorquer control system for Attitude Control. They are going to a very low orbit so they will only stay on orbit for about 10 days. The satellites are sending beacon data down using the radio amateur band frequency at 437.425MHz. 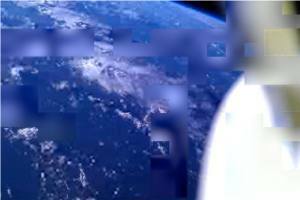 The mission consists of taking some pictures of the Earth and sending them to ground in the form of small packets of data. Because it is a such a low orbit, we need to have as many radio ground stations around the world as possible in order to accomplish the mission. The main mission objective is to demonstrate each of the core subsystems: Attitude Determination, Attitude Control, Two-way communications and solar cell power generation. 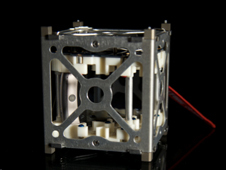 1U standard cubesat structure provided by Pumpkin, inc. 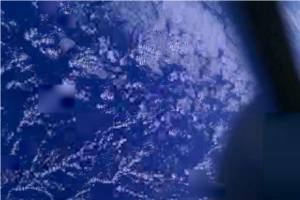 Launch date: 2013/04/17, Orbit: 270km x 300km, inclination: 51.5deg. Launched on April 21, 2013 and active. Re-entered the Earth atmosphere. No longer active. Three different types of packets ASCII85 encoded. We are encoding bits instead of ASCII characters. Therefore, if you want to decode the packet, normal online ASCII85 decoders will not work. Use PhoneSat’s Decoder to decode your packets. V: Last ten values of the Voltage prior to last reboot in Volts. OutT: Last ten values of the Exterior Temperature prior to last reboot in Kelvin. InT: Last ten values of the Interior Temperature prior to last reboot in Kelvin. These pictures can be converted into png pictures using Google’s webp converter. You will receive small parts of one big picture and once we have all the pieces, we will put it together and post it in our website! Accel: accelerometer value of X, Y, Z axes from the phone sensor in m/sec2. Time: unix time in milli seconds. Packet type: for this packet will be current and voltage values (2). Voltage: battery voltage (digital value to be converted to Volts). Current: values from the solar cells (6 values) (digital value to be converted to mA). Packet type: for this packet will be current and voltage values (3). Temp: temperatures (11 values) (digital value to be converted to Kelvin). Packet type: for this packet will be current and voltage values (4). Volt: battery voltage (digital value to be converted to Volts).